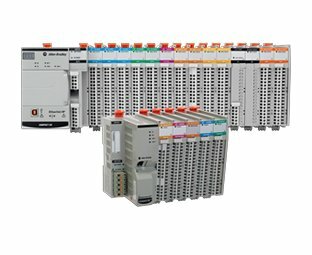 Choose from chassis-based I/O that is integrated with your Allen-Bradley® controller, or I/O that is distributed around your application or mounted on a machine. For distributed applications, we offer in-cabinet (IP20) and hardened on-machine (IP67/69K) options, in both modular and block designs. Several I/O families feature DeviceLogix™ Smart Component Technology, integrating low-cost logic solving capability in your I/O. For safety solutions, our Guard I/O™ products are TÜV-certified up to SIL 3, Cat. 4, PLe. 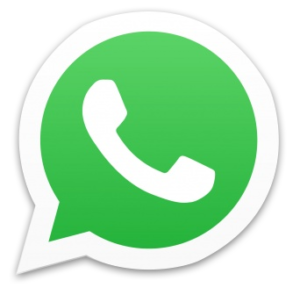 Communication support includes DeviceNet™, ControlNet™, and EtherNet/IP™, plus other industrial networks. 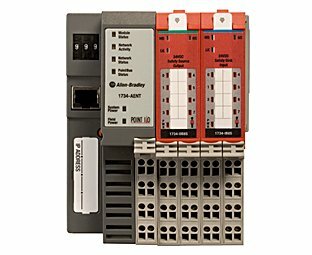 Allen-Bradley I/O is available in a variety of sizes and point densities, providing the flexibility you need to fit your exact requirements. Rockwell Automation, the world’s largest company dedicated to industrial automation, makes its customers more productive and the world more sustainable. 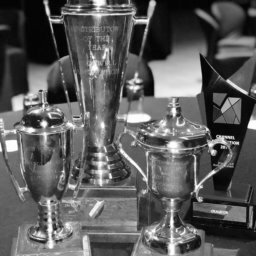 Throughout the world, the flagship Allen-Bradley® and Rockwell Software® product brands are recognized for innovation and excellence. 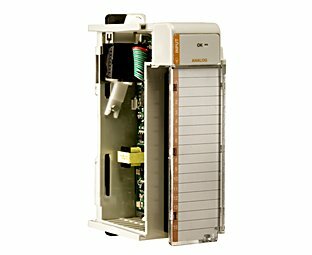 Our Bulletin 1756 ControlLogix® chassis-based modules provide a full range of digital, diagnostic digital, analog, motion control, specialty I/O, and compute modules to meet your application needs. You can use any of the chassis-based modules in the local chassis of a ControlLogix controller or in a chassis linked to a ControlLogix controller across ControlNet™ or EtherNet/IP™ networks. Our Bulletin 1769 Compact I/O™ Chassis-Based Modules can be used as local and distributed I/O for a CompactLogix™ or Compact GuardLogix® controller. Rack-type features in a rackless design lower costs and reduce replacement parts inventory. A built-in removable terminal block provides connections to I/O sensors and actuators. Our Bulletin 5069 Compact I/O™ modules provide high-performance control in a compact design, and expand the performance capabilities of the Logix platform. They are the local I/O modules in a CompactLogix™ 5380 system. 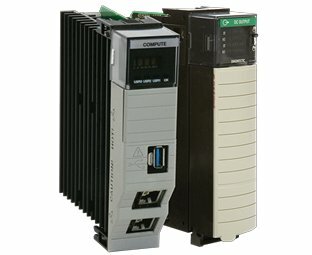 These modules are the ideal distributed I/O solution on an EtherNet/IP network for CompactLogix 5380 and ControlLogix® 5580 controllers. They are great for applications with high-processing requirements. 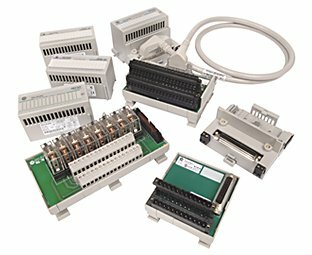 Our Bulletin 1762 MicroLogix™ Expansion I/O modules extend the capabilities of the MicroLogix 1100, 1200, and 1400 controllers by maximizing flexibility of the I/O count and type. The modular, rackless design enhances cost savings and reduces replacement parts inventory. 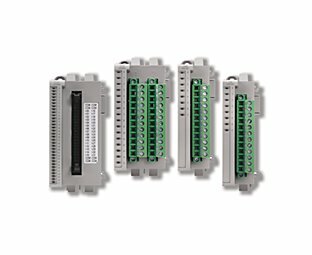 Modules can be either DIN rail or panel mounted. Our Bulletin 2085 Micro800® Expansion I/O modules extend the capabilities of the Micro850® and Micro870™ controllers by maximizing flexibility of the I/O count and type. The I/O module snaps firmly to the right side of Micro850 and Micro870 controllers, supporting both DIN rail and panel mount. Our Bulletin 1799 Embedded Distributed I/O Modules provide a standard interface between an input device and machine actuators. You can leverage our proven design technology and reliability without the cost of custom‑packaged solutions—critical for cost-sensitive machine-embedded applications. An available expansion board and universal I/O reduce your initial material investment, minimize inventory, reduce cost per I/O expansion, and maximize I/O use for each application. Our Bulletin 1719 Ex I/O modules are an intrinsically safe distributed I/O platform that can be mounted in Zone 2 or Class I, Div 2. This platform integrates devices in hazardous areas via EtherNet/IP™ in a chassis-based I/O design that provides maximum efficiency in a small space. Our Bulletin 1734 POINT I/O™ modules offer digital, analog, and specialty I/O, as well as POINT Guard safety-rated I/O, with one to eight points per module. You can mix standard and safety I/O in the same system. 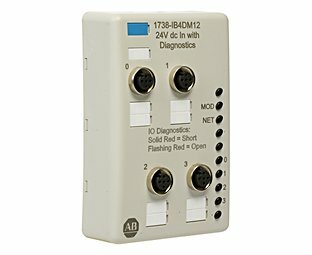 Comprehensive diagnostics and configurable features make POINT I/O easy to apply. 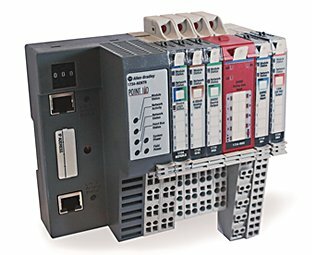 POINT Guard I/O™ modules are safety-rated I/O modules designed to fit into the standard POINT I/O™ system, offering automation and safety functionality in a maximum density I/O solution. POINT Guard I/O communicates by using the CIP™ safety protocol over EtherNet/IP™ for GuardLogix® controllers or DeviceNet™ for SmartGuard™ 600 controllers. 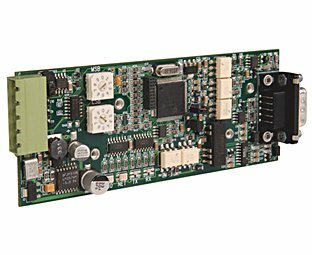 Our Bulletin 1794 FLEX™ I/O modules offer flexibility for your application with digital, analog, HART analog, and specialty I/O, with 4…32 points per module. 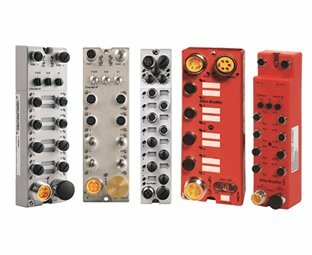 You can mix and match digital and analog I/O with mounting and wiring options. 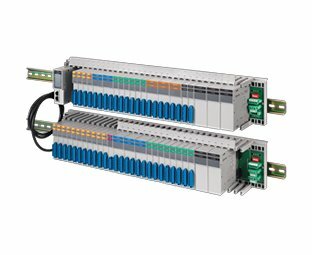 Our FLEX 5000™ I/O is a reliable and flexible distributed I/O solution, which allows you to choose your I/O to meet your operational needs. FLEX 5000 I/O enhances communication with 1 Gb EtherNet/IP™ connectivity, which offers higher speed and increased bandwidth. To provide flexibility in your network architecture, FLEX 5000 I/O includes 2 copper or 2 fiber ports (SFP) and support for DLR, Star, Linear, and PRP topologies. Designed for use in a broad range of applications, the FLEX 5000 I/O operates in -40…70 °C (-40…158 °F) temperatures. Our Bulletin 1732D and 1732E ArmorBlock® I/O modules provide low-cost, hardened, I/O suitable for on-machine use. You can mount these modules on a machine close to the sensors and actuators to provide shorter cable runs for automotive, material handling, and high-speed packaging applications. These modules are available for DeviceNet™ and EtherNet/IP™ networks and are suitable for use in welding applications and end-of-arm robot applications. Our Bulletin 1732 ArmorBlock® Guard I/O™ modules provide all the advantages of traditional distributed I/O for safety systems. 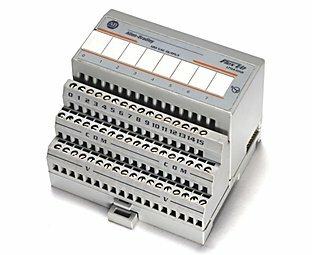 These modules are available in an IP67-rated packaged for EtherNet/IP™ and are ready to mount directly on your machine. 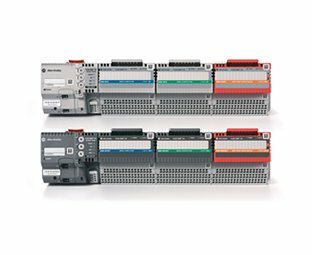 Our Bulletin 1738 ArmorPOINT® I/O modules provides a wide range of input and output modules to span many applications, from high-speed digital to process control. 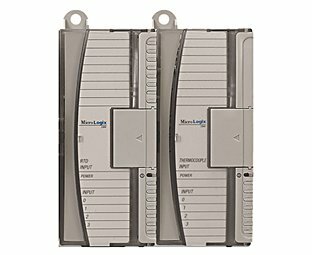 ArmorPOINT I/O supports producer/consumer technology, which lets input information and output status to be shared among multiple Logix controllers. 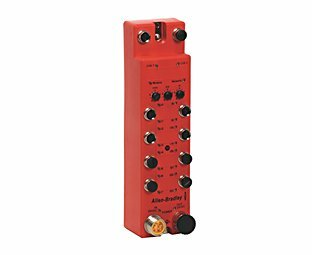 Bulletin 1492 I/O Wiring Systems include interface modules and cables that connect through pre-wired cables to digital and analog I/O.